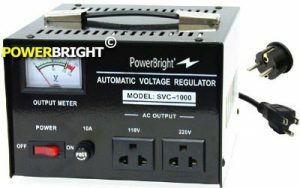 Fully automatic servo motor type AC voltage regulator rated at 2000 watts. 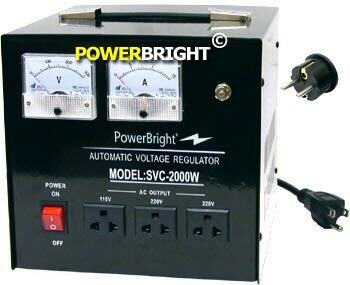 This voltage regulator can be used in 110 volt countries and 220 volt countries. 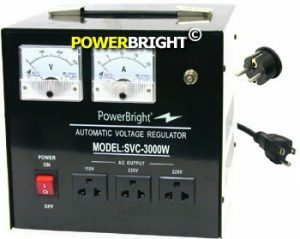 It will convert from 220-240 volt to 110-120 volt AND from 110-120 volt to 220-240 volt. This unit is usually used in countries where the voltage is not stable.